Vintage Russian peace poster - For peace against warmongers! 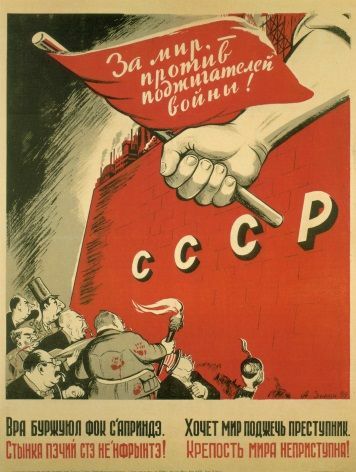 Vintage Russian poster. The text in this poster translates as: For peace - against warmongers!